Full disclosure: I’m not a jewelry person. I haven’t worn earrings since a New Years party… Nearly a year ago (side note, damn this year has gone fast). Necklaces for me are tiny neck prisons that always threaten to snag on an unseen nail somewhere and strangle me to death. I felt this up until I started my recent purging and Ebaying of the majority of my crap in an effort to de-clutter. While cleaning out those IKEA drawers to get them ready for painting, I found an old necklace I made YEARS back. 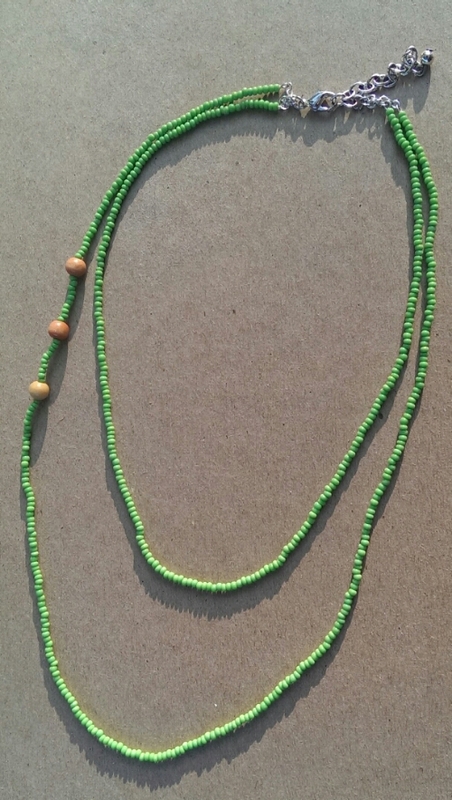 First necklace I ever made! 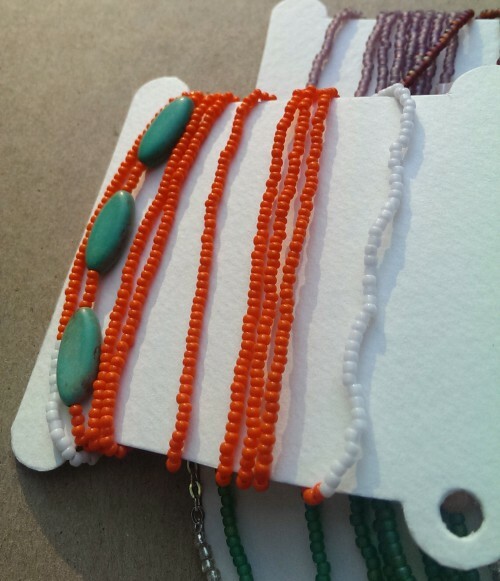 I became inspired to make the same style necklace, but also be able to have variable lengths depending on what mood you happened to be in. Long flapper style, doubled up, or 3 layers of a choker style. 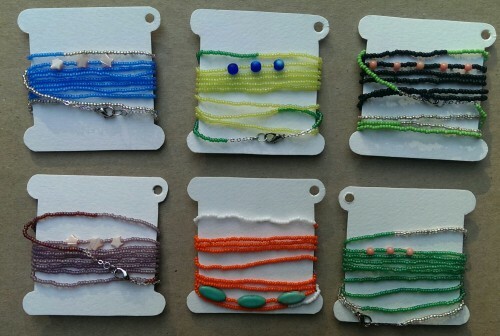 They can also be wrapped around your wrist/ ankle as a layering bracelet! More photos of them later, when I can model (aka I’m not a hot mess from spending the day in the sun doing chores and crap) and show them off. But for now, here’s the packaging that I came up with! 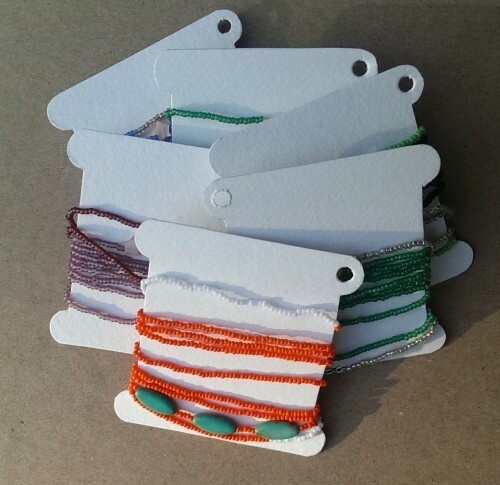 Keeping with the “wrap” theme I modeled them off of embroidery floss bobbins. When I get the stamps I’ll put the logo and art on them. Wrap necklace packaging, version 1 (embroidery floss spool inspired); this is my favourite one!